You are here: Home / Health & Diet / What Is The Difference Between A Vegetarian And A Vegan Diet? 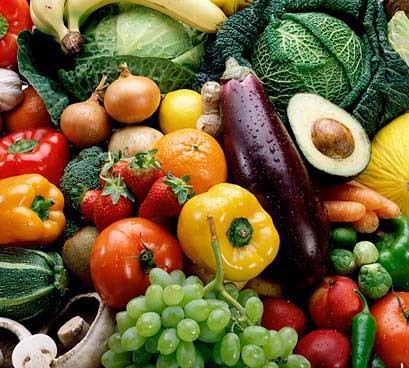 What Is The Difference Between A Vegetarian And A Vegan Diet? Both vegan and vegetarian diets include plant-based products and exclude meat products like chicken, beef, pork, lamb, bacon, fish, shellfish, veal, and so on. There is still difference between the two because unlike vegetarian diet, a vegan diet also shuns milk, dairy products and eggs as animal by-products. Apart from animals, vegetarians and vegans avoid consuming food items containing gelatin, cheese prepared from animal rennet (enzymes from cow’s stomach), animal broth, and so on. Gelatin is a jelly made by boiling animal skin, connective tissues, and bones, etc. It is used in jellies and certain biscuits, confectionery, and capsules. Examples of cheese made with rennet are Parmigiano-Reggiano and Pecorino Romano. Moreover, they do not consider beers and wines containing isinglass to be vegetarian as it is a form of gelatin obtained from dried fish bladders. Marshmallows, too, contain gelatin. Nevertheless, specific vegan marshmallows and gummy candies are also available in the market. They can be prepared at home as well by using agar agar. Vegetarian and vegan diets are promoted to reduce useless slaughter of animals. Moreover, vegans also avoid products that are derived from animals. Hence, they steer clear of eggs, milk, dairy products like cheese, cottage cheese, whey, yogurt, butter, mayonnaise, products containing lactose, and so on. 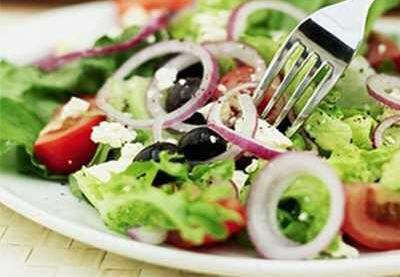 These diets are lower in fats and cholesterol, especially when compared to non-vegetarian diets. As a result, incidence of health conditions like heart disease, hypertension, renal disease, type-2 diabetes, high cholesterol, Alzheimer’s, and so on tend to be lesser in case of those who follow such diets. However, it is believed that although vegetarian and vegan diets are healthy, they include lower amounts of vitamin B12 and protein. Therefore, it is imperative for individuals following these diets to opt for a variety of foods to provide all the vital nutrients to the body. Vitamin B12 deficiency can increase the risk of developing issues like osteoporosis and depression. Consequently, it is suggested that they include nuts, seeds, legumes, green leafy vegetabes, soy products, and whole-grain foods in the diet. Essential fatty acids like omega-3 can be derived from walnuts, flax seeds, safflower seeds, pumpkin seeds, etc. instead of fish oils. When compared to vegetarrians, vegans are more particular about excluding animal products and by products. The diet of vegetarians, though, tends to vary as they may or may not include certain animal products, for instance, poultry. To be specific, vegetarians who exclude meat products but take milk and dairy products are known as lacto vegetarians or lactarians. When lacto vegetarian diet includes eggs, it is referred to as lacto-ovovegetarian or lacto-ovovegetarian diet. This often depends on factors like cultural background, religion, morality, personal choice, health, and so on. Contrary to the popular misconception, scientific studies have proved beyond doubt that it is not necessary to consume animal products to remain healthy. In fact, eating a wide variety of plant products is a healthier option. Plus, the followers of both these diets are against the unnecessary slaughter of innocent animals. Moreover, industrialized animal farming contributes in environmental degradation. Hence, they emphasize on a plant based diet. Those who follow a vegan lifestyle do not even use animal products such as leather, silk, fur, wool, pearls, corals, and several other cosmetic products, too. Furthermore, they try to avoid articles that are tested on animals as they are against the exploitation of animals. Thus, being a vegan is not just about following a particular a diet; it is more of a lifestyle choice.